Pimples leave a blemish or a pit on your face. Scars are trails left behind by pimples. Pimples and subsequent scars are a very common concern among teens and young adults. 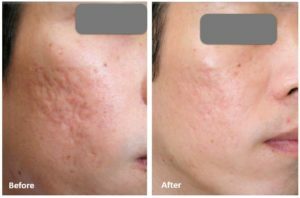 From pesky, dark hyper-pigmentation marks, to red spots, to deep craters–acne scars are among the most dreaded skincare issues. 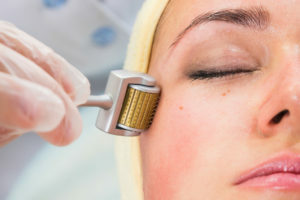 Treatments include Derma-rollers, Deep Resurfacing Peels, Subscision, laser treatments, and fillers. The key to effective treatment is to select the best one for each scar type. For example, a patient who has some deep scars may benefit from getting a filler, which adds volume to the skin. This may be followed by laser treatments.